What do you do when you decide to go on a hike? You buy hiking shoes. And where do you buy them? From people who know hiking. Every now you then you have a customer experience that makes you want to tell someone about because of simply how delightful it was. And that was my encounter with Van at the Brentwood, TN REI store. I’m truly a novice when it comes to this specific outdoor shoe. And knowing an all-day hike mean you must take care of your feet, I wanted to talk to an expert. That’s how we meet Van. I know what you are thinking. This sounds like a guy who was just a good salesman. But that’s where you are wrong. My interactions with Van placed a spotlight on what I believe many businesses are missing today. Van gave me an “experience” – so much so I wanted to tell others how great it was. Yes, that’s how sales are made but even more importantly, it’s how loyalty is built. He didn’t just know the products, he had experienced them. Van is an avid hiker himself which allowed him to ask me just the right questions to find a shoe perfect for my need. He efficiently explained the style of each shoe type, how each caters to different foot styles, and why that matters for hiking. He owned several different styles himself which helped him not just know the benefits and features of the shoe but had a short story of example to share with me as well. The conversation shifted to my needs very quickly and to be honest, price wasn’t really part of the story anymore. Van knew that the traditional way of trying on shoes didn’t work for my needs. He asked me to experiment with each shoe by using a mock rock to climb and feel the shoe’s resistance to my feet. 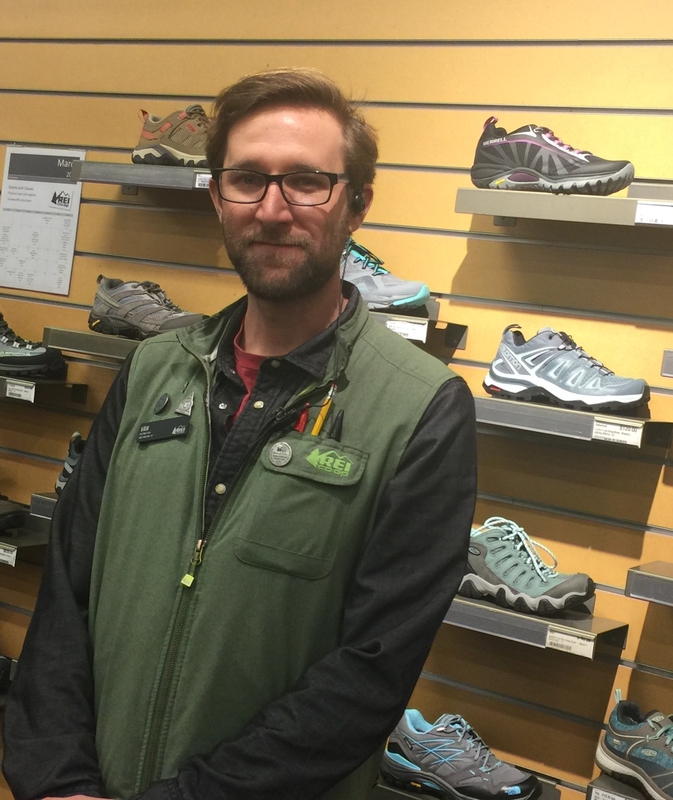 His personal hiking knowledge helped me understand how a shoe should support me going up hills as well as coming down them, and the impact weather can have on your feet. Why do I tell you that story? Because this approach took more time but that was okay. Van’s goal wasn’t a quick sale, it was my satisfaction. He’s simply living out the business model.